What is an isolation coat? An isolation coat is a coat between your finished painting and the varnish. 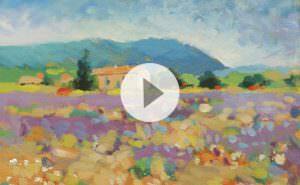 It is transparent and creates a physical separation between the varnish and your painting. This is key because otherwise the varnish will stick to your painting and be a nightmare to try and remove. Varnish is not permanent, it just acts as a dust collector that you can remove and replace, every 5 to 10 years depending on how dusty the environment your painting is kept in. To make an isolation coat I use GOLDEN Soft gel gloss. This medium is off the hook, and I highly recommend you buy it along with an Acrylic Glazing liquid gloss if you are starting acrylic painting. These bad boys are all you need. Make sure the painting is 100% dry, ideally leave at least 24hrs before applying isolation coat. Look over the surface of the painting up close to see you don’t have any rogue brush hairs on the surface. Photograph your painting. It is soooooo much easier to photograph a surface with a matte finish. The gloss of the isolation coat will reflect everything and if you can’t turn off the flash on your camera, the light from the flash will bounce off the reflective surface. Sign your work, a signature under gloss just looks lovely. Find a clean jar, same reason as the brush, clean is good for isolation coat or varnish. Pro tip: If you are coating the sides of a canvas you can slightly raise each corner with a small piece of wood so the painting doesn’t stick to the surface below. Pro tip: If you want a matte finish and have used an absorbent ground (such as ground for pastels) it is important to add an isolation coat. Even though it seems counter-intuitive to put a gloss isolation coat down first then put another matte varnish coat on top. If you left it without the isolation coat the matting agent in the varnish would remain on the surface, the solvent would be absorbed into the ground resulting in a white residue. 1. Mix two parts soft gel gloss to one part water – Mix more than you think you will need, trying to match the exact consistency if you run out is not fun! 2. Add the water – little by little as it will mix in better. 4. Re-read point 3 – the mixture will appear too thick, too white, and just a little scary, it isn’t. 5. 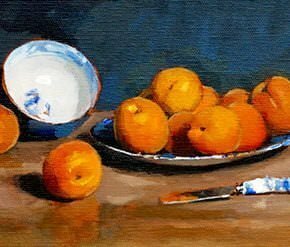 Get a clean, wide brush – I usually use a 2-inch flat nylon brush, you can use a ‘varnish’ brush, but it is not essential. I wouldn’t recommend a decorators brush as it will show too many brush marks, you want a brush that is smooth to the touch so you can just glide it over the surface. 6. Lay your work on a board -I use a piece of MDF, or newspaper, you are bound to get some overspray and/or drips. 9. Squeeze out excess soft gel gloss from your brush so it is practically dry, smoothing out any raised areas of soft gel gloss. 10. Gently brush over the surface – check the sides for any overruns, get down to eye level with the painting and look at the reflection at an angle, this helps you to see if you have missed any bits. An uneven finish to a painting, some parts matte, others gloss can be very off-putting to the viewer. A unified finish both enhances the colours and it can be a great way to add a professional finish to your paintings to add dollars to the sale price. One final thought if you’ve never applied an isolation coat before. If you’ve never used an isolation coat (or applied a varnish) your best investment to achieve a good result is to practice. Just don’t practice on a painting you’ve been working on for weeks. Make a few small test pieces (6 x 4 inch) and paint them with a range of solid colours. The test pieces can be made on thick card or scrap canvas, make sure you have one that is dark, preferably black so you can see how a matte or glossy finish alters the final finish. Then you can try a variety of brush applications and different finishes of varnish until you find the perfect combination for the aesthetic you’re after. Pro tip: If you’re not sure if your painting is finished, or you are nervous about varnishing it, you can leave an isolation coat on for ages, and then repaint on top in the future. Just bear in mind the surface will be super slippy and won’t soak up moisture (see: How to paint over an acrylic painting) so paint thick! Hi Will, I found this informative blog and I have a problem I would like to run past you. I have applied an isolation coat to a large painting, but didn’t realize it should be a gloss medium. I have applied a matte medium. Is this a disaster? Can I varnish over it or will there be issues? Hi Rachel, this will be absolutely fine, the basic medium is exactly the same, just the matte medium has added matting agent added to it. I recommend using the gloss medium because you can achieve a clearer film. Sometimes (particularly if the painting has very dark areas) the matte medium can give a slightly milky appearance. But there won’t be any technical issues with adding a varnish ontop, it’s just more of an aesthetic. Hope this puts your mind at rest! I use acrylics in my art journal. Would varnishing the pages as you describe stop the pages from sticking together? Thank you for your time, Will! It depends how heavy duty the paper of your journal is, the Soft Gel gloss might be to liquid for your artwork and you run the risk of it buckling your paper or it running over the edges. Have you ever tried a spray varnish? Winsor & Newton, along with other manufacturers, make an ‘Artist all purpose Spray Varnish’ that can be applied to all sorts of craft work including paper and acrylics, it is non-removable but the benefits are, it be applied in fine layers (so it doesn’t get too wet) and it’s more controllable. This should help prevent pages sticking together (a gloss finish would be the most suitable for non stickiness but it depends on the aesthetic finish you’re after. I have just completed my first ever acrylic painting and I wanted to apply an isolation coat on it but I am not sure where to buy it from. Any advice? Also please do let me know if I am to apply it directly on my dried painting or is there any catch here? Firstly, congratulations on completing your first acrylic painting! You can find the soft gel gloss on Amazon, dickblick in the US or any one who stocks ‘Golden Artist colors’. You will be able to apply the isolation coat directly onto the painting, no catch! My first foray into acrylic and it is on a plywood 34 x 56. I used the spray varnish a couple of times and I am not happy with the results (Golden Archival Satin). Can I use this as an isolation coat and revarnish with a brush product. help!! I read that this gel protects from UV damage. Is this really true? Yes it does, it helps to protect from ultra violet light filters and stabilizers for protection against fading. I just tried this gel coat. It was scary, and seemed to have milky brush marks, but I refrained from touching it, hoping it would at least dry clear and have brush marks as a flourish, but the brush marks sunk away and it dried perfectly. I mixed the water solution and let it sit overnight as per the instructions on the golden website. Good one! Sounds like you got the perfect result. First, I want to tell you that I love your site, since jumping headlong into painting, you’ve given me so much practical advice…thank you! I’ve just completed a 2 foot x 4 foot acrylic, I’m pretty new at this all around, but this is my first big piece…and one that I want to preserve properly…I’m nervous about doing an isolation coat on a piece this big! Do you have any special tips? It should be no problem as I often apply an isolation coat to paintings size 4 ft x 6ft and it works fine. You do have to work quite quickly though and one tip I use is to pour the isolation coat mix onto the canvas ( when the canvas is flat on the floor) and then paint the mixture as per instructions above. By pouring the mixture it saves time dipping the brush back into the pot and gives a nice even finish. But, when you first pour it on you might have a slight panic attack as it looks too opaque, this is normal. Will this gel, say over many years, ever crack like over-dried glue? Especially if I add an isolation coat, then add more details over top, then another isolation coat? 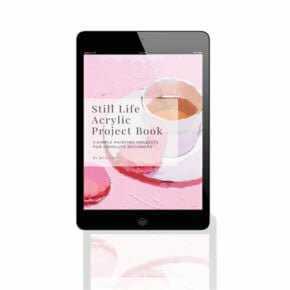 I know the shelf-life of acrylic has not been tested over long periods due to it’s newness. I feel a nagging suspicion about whether this soft gel wont reach a point of entropy of dryness. I highly doubt that the Gel will crack over time but you can always email Golden technical support as they’ll have more details on the lab tests to help reassure you. I have just put an isolation coat on three paintings. When it was first put on I checked against the light and they seemed evenly covered. Now that they are touch-dry they seem more patchy, with a few streaks looking quite matte. I assume this is because some parts of the painting are more absorbent than others (?). What can I do? Should I cover the entire paintings in another coat, or would it be better to just touch up the matte areas? I want to apply a gloss varnish on top. Hi Crumplethorn, this can happen when, as you thought, some areas are more absorbent than others. I wouldn’t try to touch up the matte areas as it can be very hard to achieve an even sheen, and can make it worse. I would just go straight on with the gloss varnish and you’ll be fine. Following on from the above question – is one isolation coat always enough? I think my application is on evenly, unlike the problem encountered by Crumplehorn, but I want to be sure that if I tried to remove varnish in the future, I won’t end up accidentally removing paint. Should I apply a second coat, just to be sure, or simply get on with the varnishing stage? Many thanks. Hi Kerry, sometimes, if the layer has gone on quite thin I’ll apply another thin isolation coat on top just to make sure. Hi, can i use OPEN Acrylick Gell (Gloss) for the isolation layer? Firstly may I say that I just subscribed to your web blog a couple of days ago and I am finding your website most informative and I’m enjoying your video tutorials. They are so helpful. You suggest that Golden is the best that you use as an isolation coat. I am due to buy some gels and mediums in the next couple of weeks ( never having used them before) and I had in my mind to buy Winsor & Newton. But after reading your thread here would it be a better option for me to try and find somewhere that sells Golden or is W&N just the same? If I use any impasto texture effects in my acrylic painting how is it best to apply the isolation coat and varnish so that it doesn’t look blotchy with an uneven shine due to the texture bits sticking up and catching on my brush? If I use a gloss glazing medium on only a few parts of my painting will there be an uneven shine-to-matt blotchy appearance across my canvas that will end up being difficult to photograph prior to isolation coat? 1. You suggest that Golden is the best that you use as an isolation coat. I am due to buy some gels and mediums in the next couple of weeks ( never having used them before) and I had in my mind to buy Winsor & Newton. But after reading your thread here would it be a better option for me to try and find somewhere that sells Golden or is W&N just the same? They will be pretty similar, I just personally prefer the Golden, but Winsor & Newton are a great brand. 2. If I use any impasto texture effects in my acrylic painting how is it best to apply the isolation coat and varnish so that it doesn’t look blotchy with an uneven shine due to the texture bits sticking up and catching on my brush? It would have to be extremely textured for the isolation coat to pool, for Varnishing you can use a spray aerosol varnish in thin layers to hit all the difficult spots. 3.If I use a gloss glazing medium on only a few parts of my painting will there be an uneven shine-to-matt blotchy appearance across my canvas that will end up being difficult to photograph prior to isolation coat? I’ve found the Golden Gloss Glazing medium isn’t massively glossy, but yes, it will give an uneven shine over the painting. I’ve known other brands to be glossier, so a more pronounced difference, but it hasn’t ever been a problem photographing the work. Thanks for that Will. ….and I forgot to ask, is an isolation coat needed for an oil painting or do I just varnish the canvas when the paint has dried? That’s right you only need the isolation coat for Acrylic painting, not for Oils. I mixed some isolation coat about a week or so ago, how long do I have to use it? Is it better to use it quickly after the 24hr ‘settling’ period? I’d rather mix up a new batch if there’s a chance the stuff from last week wouldn’t have good consistency. I’ve got a couple large pieces I’m so nervous about coating! Hi Cara, I’ve had a tub of isolation coat mixed for a couple of months and its been absolutely fine. Just check the air bubbles have settled and you’re good to go. If the consistency has changed at all just add a touch more water. On the side of the Golden soft gel medium it says DO NOT USE AS ISOLATION COAT. Can you explain why it says that vs what you are recommending? But you bring up a good point, as they don’t recommend Soft Gel semi- gloss or matte for this purpose, as you lose clarity in the picture film. Which soft gel are you using? If you don’t do anything to your painting the actual physical structure of the paint will be fine, its more a protection for dust and grime over the years. Also, depending on the pigments you’ve used, some acrylic colours are more susceptible to fading if exposed to sunlight. Most modern varnished have UV protection helps to keep the colours as you intended them, so it depends where the final painting will hang and the atmospheric and aesthetic conditions surrounding it. Also, I have just finished an acrylic painting which has very “dry-looking parts, and crumbly-looking parts, and has lots of scrapes and bumps (deliberate!) and is very very matte indeed. I wish it to keep this appearance so can I use the Golden Soft gel gloss as an isolation coat without ruining this appearance? If I can, please tell me the name of the ideal matte varnish I should use after the isolation coat. Thank you very much indeed for your help. The soft gel gloss, is exactly that, very glossy, but will remain clear when dry. So when you apply the matte coat the varnish will brush on smoothly. The Golden polymer varnish Matte (brushes clean with water) gives a nice matte finish. I have heard somewhere that Liquitex Gloss Medium & Varnish can be used for the isolation coat. Do you agree? I have some here so instead of buying yet another product, if it is OK, I would like to use it. It says on the label : Vehicle: Acrylic Polymer Emulsion. The same principle applies as the Golden soft gel gloss- a clear gloss finish that you can apply a varnish on top of so that final varnish can be easily removed and replaced in the future without damage to the picture surface. I use gold leaf and silver as well as crystals in my paintings. Well, it’s more a three part question lol. 1). Can I use the isolation coat and varnish over gold/silver leaf? 2). Can I use an isolation coat and a varnish over crystal without them frosting or losing their luster? 3). How would I apply an isolation coat in order to not disturb the gold/silver leaf that is loosely embedded in my painting? Thank you so much! I’m hoping you have the knowledge! 1). Can I use the isolation coat and varnish over gold/silver leaf? I would only really suggest a spray application over gold leaf as with a brush you run the risk of disturbing the gold leaf, so would be tempted to apply the varnish without an isolation coat in this instance. If you’ve got a test piece and it can handle the brush application then this would also work. 2). Can I use an isolation coat and a varnish over crystal without them frosting or losing their lustre? I personally haven’t varnished over crystals, but again, just test painting or spraying varnish over a couple of crystals and judge the effect on the frosting. Gloss varnish will be the clearest. 3). How would I apply an isolation coat in order to not disturb the gold/silver leaf that is loosely embedded in my painting? Same as answer 1) I would only use a spray application not to disturb the surface. Good one Krista, I’ll be intrigued to hear how the varnish affects the crystals. Hi Will, I was wondering what we use the Acrylic Glazing liquid gloss for? Hi Deborah, the Acrylic glazing liquid gloss is for blending colours and applying thin glazes of paint, it’s not used in the varnishing process but is a very handy medium to have in the rest of your painting. Hi Will, thanks for your very clear instructions, they’re most helpful! I make fairly large paintings these days, around 3ft x 4ft, and I have them taken off the stretcher and rolled into a tube for delivery to my buyers. I was wondering if an isolation layer and several layers of varnish will inhibit the “roll-abilty” of the canvas. I worry about the protective layers being brittle. Do you know if this is the case? Thanks dropping by, pleased you’ve been finding the tutorials helpful. 1. No frosting occurred, but the sparkle of the crystal was dulled with each layer of varnish, resulting in a dew-drop like appearance as more layers were added. Cheers Krista, thanks for sharing your varnish experiments with the Swarovski crystals, I personally wouldn’t try to varnish, then isolation coat, then varnish, as it defeats the purpose of the isolation coat. Hi Krista, I wish I saw this before I applied my Swarovski crystals!!! Just wondering how and what you used to de-coat the crystals after you applied the varnish? Can we use the liquitex permanent varnish instead of a medium mix solution for isolation? Iv’e got white residue on my painting with a gloss medium and water mix. Maybe it’s the quality of the medium, it’s not Golden, but maybe there is another way to do an isolation coat… Less risky? I work a lot on my paintings, I don’t want to blew it with a milky coating right at the end. I personally haven’t used the liquitex permanent varnish as an isolation coat because if you then applied another layer of varnish on top, when you wanted to try and remove the top layer of varnish for cleaning in the future, you would run the risk of disturbing the first varnish layer. The white residue usually comes from the matting agent in medium, so I’m not sure why it was in the gloss medium you’re using, most gloss mediums dry to a clear finish. I appreciate not wanting to ruin your painting, so the best thing to do is to just try a trial piece on a similar colour canvas, and then you can judge how the effect works for you. Can I use Golden regular gel medium (gloss) over the Golden Archival Varnish? Hi Mary, nice to hear from you. The only issue I can see with applying the regular gel over the varnish would be of the gel actually sticking and adhering to the varnish to create a solid film as the Varnish is often a shiny, glass-like finish. You could check with Golden technical support to be doubly sure as I personally have never tried the Gel medium on top of a Varnish layer. Thank you. I did call Golden technical support, and they said that it’s fine to do so! Brilliant stuff Mary, thanks for letting me know. I am just learning to paint and have done a couple that friends want. I know these people would never go to the trouble to remove varnish to clean the painting in 5-10 years or ever. Do I still need to do an isolation coat or can I just varnish? Thanks! Hi Deborah, It’s a personal choice, you can apply the varnish straight to your canvas knowing it’s a permanent finish to the painting and can’t be removed. Thanks, that is what I was thinking. Hi Will, I’m so happy to find your site. I finished a commissioned 4′ x 5′ landscape painting with a 2 1/2 deep profile, which has already been delivered to the buyer. They didn’t want to wait for the varnishing and agreed to let me come over and finish it when it had cured. I am so nervous to do this. I tried some samples and always got brush strokes from the isolation and the varnish coats (matte, semi-gloss, and gloss). However I used the Liquitex gloss gel so I see my first mistake. I have ordered the Golden soft gel. I read in another article where a sponge was used to make it smooth. My clients liked the 50/50 matte and semi gloss sample but because I didn’t use the right isolation coat I feel it was not a good representation. Also I didn’t shake the semi-gloss and I have since learned that this is important because the matte settles to the bottom and the gloss on top. I will make more samples. But what do you think about using a sponge on such a large painting? And in your opinion, what varnish, semi-gloss or gloss would be good for a landscape? 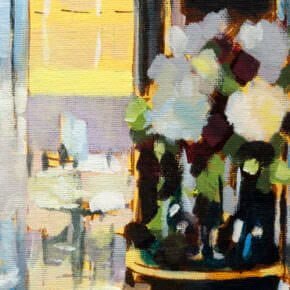 So pleased you’ve been finding the site helpful, in terms of semi-gloss or gloss finish, it really is a personal preference and dependent on the lighting/subject matter/ viewing position of the painting. A gloss finish will bring out the colours more than the semi-gloss but under a direct spot lighting can sometimes be too reflective. When you apply the isolation coat (which is a Gloss finish) you can then judge ii that is the appearance you prefer, or if a semi-gloss or matte finish would suit the painting. For larger scale paintings avoiding streaks with the brush application can be harder due to the varnish drying out as you paint, personally I would opt for a spray Varnish application for the smoothest finish, although it is more expensive, and you need a well ventilated space to work within. Is the acrylic glazing liquid gloss the varnish? If it is not what varnish do you recommend? Hi Gabriel, no the acrylic glazing liquid is exactly that, a glazing liquid, for applying thin layers of paint. I use Golden brand of varnish for Acrylics. I isolated with Winsor Newton hi gloss and probably used an incorrect brush, so have a lot of brush marks showing. Can I re-isolate with a better brush? How long should I leave the first application to dry? The first application should try relatively quickly within an hour or two. When adding varnish layers you can often takeaway any brush marks left from the isolation coat as you can build up many layers of varnish on top of the isolation coat. If the brush you have is still too hard you can use a spray varnish to build up smooth layers. However, the relative cost of spray varnish it would probably easier to invest in a softer varnish brush. Hope you achieve an even sheen! I am specifically looking for “drying time” between Isolation coats. “Leave to dry” does not cut it… I like to put about three coats on, so do need to know how long to dry between coats. When building up multiple coats, allow for 3 – 6 hours in between coats. Hi will i just completed my first wall mural and I’m just an amateur. I’m just curious that is it okay to not apply any isolation coat and just apply the matte varnish. It depends on the absorbency of the wall surface, an isolation coat provides a glossy surface so when the matte varnish is applied it doesn’t leave any of the white matting agent on the surface. Matte varnish can leave a cloudy or “frosted” appearance. This frosted appearance results from the varnish and solvent being absorbed into the wall, while the matting agent remains exposed on the surface – the matting agent is usually white. If there is any area of the wall you can test on to judge that would be the best method, to prevent the final matte varnish hiding all your hard work. common household chemicals”. Any advise is appreciated. I’ve been researching for days, and am totally confused. Thanks. Sounds like quite a specific requirement for the dominos, I wouldn’t want to say 100% with the Golden soft gel gloss, as it is usually used as a layer before you add the final varnish to it, and varnish often has a harder finish to it once dry than the Soft Gel gloss. Some of the topcoats from Golden can be used as a final finish, but I personally wouldn’t use the soft gel gloss as a final varnish. Golden technical support will be able to advise on another varnish that would be more specific your your needs. I know this thread is pretty old, but here I go anyway. Melissa, it sounds like a clear resin coat might work for you. There are a lot of options, but usually Michaels or Hobby Lobby will sell a clear resin in the casting section. Mod Podge Hard Coat or Dimensional Magic may be easier and cheaper. Lately I’ve seen clear, 2 part epoxys for jewelry clear coating that may work as well. Do a few tests and you’ll find a solution. If I put down a gloss isolation coat can I apply a satin spray varnish (Golden brand) after? Also, I read on the can of spray varnish that it makes the color less saturated. Is there a way to achieve a satin finish without compromising the color? Hi Erin, yes that’s right, apply the isolation coat first, then spray the varnish. Satin will always make the colours slightly less saturated than gloss. Satin varnish is a mix of gloss varnish (clear) and matte varnish (very slightly cloudy due to the matting agent used in the varnish being white) so there is a slight compromise in the colour saturation, but only slighty. The best thing to do it buy some gloss varnish and matte varnish, then you can mix different ratios and test the finish to achieve your own perfect satin mix of varnish finish vs colour saturation. Hope all is well. Just wondering if you could possibly do a how to video on you tube in regards to pouring your isolation coat onto the surface of the painting and subsequent actions of spreading it around said painting? It would be good to see this done as it would eliminate possibly doing something wrong etc. 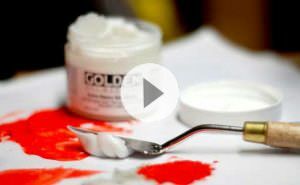 Thanks for the suggestion, here’s a video from Golden paints on how to apply an isolation coat that might be on interest. Thank you Will, very helpful. Is it possible to do JUST an isolation coat and NOT put any varnish on? Especially if the painting looks OK after the isolation coat. If this is not a good idea please explain why! (I’m sure that it is not necessary to ask this last, as you are so patient and explain everything so clearly and thoroughly.) Thank you very much. Yes, is is possible to do this, as it will offer some protection to the painting surface, but a varnish is intended as a removable finish, an extra layer that any dust etc from the atmosphere can adhere to and then in the future can be removed, and then a fresh coat of varnish applied. The isolation coat is a smooth surface so the varnish is painted on easily, and when the varnish is removed and replaced in the future is an easy surface to remove the varnish from without risk of damaging the actual paint on the surface. So you can just apply an isolation coat as this as it will offer some protection, but not the most protection. It depends on the particular painting, if it’s a portrait to be passed down from generation to generation I would 100% varnish the paining. Thank you for your website. I refer to it often. My question is (I can’t see that anyone has asked this yet), what’s wrong with using the Golden Gel Semi-Gloss as a protective coat? Why only the Gloss? 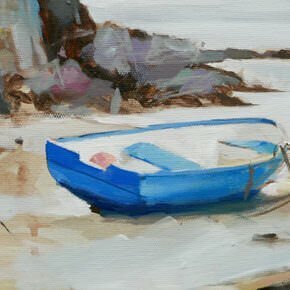 Pleased you find the website helpful in your painting, the gloss is used because the gloss varnish has the clearest finish and doesn’t contain any matting agent. Semi-gloss is a mix of gloss varnish and matte varnish. The Matting agent is white, and can sometimes leave a white residue on the surface of the canvas. So if you want a semi-gloss finish, apply the gloss isolation coat and then apply a semi-gloss (satin) varnish. Thanks for your quick response! I’ll give it a try. Great information on isolation coats. I just finished an important painting. All good except sky a little shiny in a couple places probably from over painting or use of water. Not major but it has to be perfect. I followed the drill and applied two coats of isolation coat. Glossy. My next step will be a couple coats of matte spray varnish. Do you think the shine will diminish or go away or must I do something more drastic first. Hi Tom, the isolation coat is always glossy, as it is a Soft gel gloss, so will always have a sheen. Once you apply your matte varnish the sheen will completely disappear and you’ll have a matte finish. Hi Will, Most probably this isn’t the right section for this question but, here goes! and thanks for any help. I have bought a certain ready-made mat/mountboard because it really suits a particular painting, but the mat looks as though it is full of acid. As the painting is on beautiful white acid-free paper do you think I could coat behind the mount with something in order to protect the sides of the paper which will be under it. If so, which product would do the job please? Thank you, Will. Hope you’re doing well, most mount-boards are 100% acid-free, what makes you think it has high levels of acid in the mount? Hi Maria, yes there is a Golden Matte Medium. Thank you for answering, Will, and with an interesting question. The reason for my thinking that there is a lot of acid in this particular mount-board is that whereas GreatArt mentions “acid-free” for almost all of their mount-boards, they do NOT mention “acid-free” for this particular GreatArt Canson coloured bevel 15204244 one. They only say that it is “laid and laminated onto a wood pulp board” .Second reason is that this mount-board is yellowish, compared to their other ones which they say ARE acid-free, and thirdly, I wrote a few lines on it with a Lineco pH Testing Pen (very reliable I have always found) and they have come out a yellowish violet but very pale indeed, almost colourless. Lines drawn on their mount-boards which they say ARE acid-free clearly come out lavender. I am unhappy about this, especially as these mount-boards are expensive. I really am loath to use it without protection of some sort and do hope you can help with a suggestion! and I thank you in advance! Sounds like you have a great pH testing facility! Definitely sounds like it isn’t 100% acid free. The only option would be to use a backing paper/card and cut that to the inside size of the mount so it goes in-between the mount and the picture. This backing card from Hahnemuhle is a good choice, slightly thicker than paper (300gsm) but can also be used for backing other mounts. Once again thanks for a fab article helping us to get professional results. I have just applied an isolation layer with Golden soft gloss gel but I had problems measuring out the proportions and I’m not sure I achieved the 2:1 ratio. If it’s not a daft question, could you advise me on the type of consistency I should aim for? My gel mix was like thick drinking yoghurt but when I painted it on the pics it seemed to be much thinner than I expected. Is this right? I use a long handled plastic spoon to get the gel out of the tub but it sticks to the spoon and a spoonful of water is a much smaller amount, so hard to judge. Now that they are dry, the pics are “sparkley”, but I expected them to be shiny. I’m tempted to put another layer of isolation coat just in case I mixed it too thin. I would be grateful for any advice these pics are sold and will be hung in a kitchen. Thanks for your kind attention. It sounds like the mix might be a bit too thin, as the finish should be pretty glossy and a consistency like double cream. I usually decant some of the soft gel gloss into a shallow tray/small plastic pot using a kitchen measuring spoon, often a handy finger can help to grab the last bits from the spoon. Then I measure out the water in the spoon. Here’s some more details from the How to apply an isolation coat article. 5. Get a clean, wide brush – I usually use a 2 inch flat nylon brush, you can use a ‘varnish’ brush but it is not essential. I wouldn’t recommend a decorators brush as it will show too many brush marks, you want a brush that is smooth to the touch so you can just glide it over the surface. 7. You need to work quick – paint the soft gel gloss over your painting in all directions to make sure you don’t miss a bit. Thanks Will, that reply was really helpful. I’m much more confident about the consistency and so pleased with the results now. I will definitely go on to apply this to my other paintings. I really like the way the isolation layer unifies the surface of the picture and adds depth. Great to hear it Judy, so pleased it helped. I thought it would be a good idea to practice my painting on a piece of cardboard. As I progressed, in the painting, I could see that wasn’t such a brilliant idea. However, I have fallen in love with what has been created just the same and would like to varnish. What will happen? I’m new to painting as you have gathered I’m sure but am so enjoying the process and the creativity that comes with each stroke of color I put down. What a wonderful muse to be lost in. Thank you for your time and web page it prepared me to go from thinking about painting to trying it. If you use a polymer varnish it won’t damage the cardboard so you’ll be fine. I’ve just finished my first painting (touch of oil on acrylic) and I’m really happy with the results… I’m thinking of doing the isolation coat & varnish and your information has been really helpful. To say I’m a bit anxious about varnishing is an understatement (it’s for my Mum and will no doubt be shown off)! I’m trying to get it clear in my head before I begin… my first question, you mention painting the gel gloss in all directions and then say to go left to right, slightly overlapping? I’m a bit confused! Also, my canvas was one I picked up from a cheap shop and is pre-mounted (is that the right term?) so I’ve painted around the edges because I like that look… how would I go about putting an isolation layer and varnish on the edges? Thanks for your help, I love the clear way you explain things – a sign of a good teacher! Great to hear from you and so pleased you’re happy with your results. If you have a mix of oil and acrylic you don’t need an isolation coat, as the acrylic isolation coat will prevent the oil from drying properly. Have a look at the latest oil varnishing article that talks about the way oil paints dry in comparison to acrylics. I usually apply a coat to the edges first and then varnish the surface of the painting if I’m working with a thick edged canvas. That’s great Will, thanks so much for the info… and really glad that I asked a few questions!!! I’ll check out that article. I’ve been painting on canvas shoes with liquitex basics acrylic paint and was wondering what you recommend to protect it. I intend to wear the shoes I paint but don’t want the paint to be easily washed or scratched off. I’ve worn one painted shoe for awhile with no protective layer and it hasn’t been damaged but if there is a precaution to ensure safety I’d prefer doing that. You’re advice is greatly appreciated! Thank you! Hi Christopher, nice to hear from you, I would go for a flexible acrylic varnish, you can apply it straight on as you’re looking for a longer protection rather than to remove and replace in the future. This fabric medium is also nice for increasing flow if your need it. Hi Lindsey, no need to panic, your paintings aren’t ruined at all. Yes, you could go over the Galeria to create the same Matte finish. Thanks Will, that’s great news! And luckily, my paintings haven’t ‘vanished’ either! (Predictive text) I am wearing my glasses this time. I am very grateful for your help…again! Your advice on varnishing has been invaluable :) Except I have had trouble putting isolation coats on paintings done with inks and water (lots of water). Even after the painting drying for nearly two weeks, the ink seems to bleed into the isolation coat :( sometimes when the weather is cold, they ink may have pickets if moisture left, which causes the bleeding…i have been using golden soft gel. Should I try using liquitex gloss varnish medium? Or stick with just solvent based spray varnish ? Bit confused as to what varnish system would be best for ink based painting. Hi Vish, I personally wouldn’t apply an isolation coat over inks, I only use the technique with acrylics, as if the inks are watersoluble the moisture in the isolation coat will cause the bleeding. It would work if you where using thin acrylic paints such as Acrylic High Flow from Golden. Hi.. This seemed the best place to ask my question. Painting in acrylics. followed your instructions for 12 paintings and worked like a dream. Tried on another painting, small ( 8 x 10) flat canvas,series subject:chinese children, very cute BUT when I tried to put on the isolation coat the black in the hair ‘dragged’…UCK! Would you recommend trying a spray? By the by, your site is amazing and I love your videos…so motivating with no fear factor! Hope you are financially compensated in some way. Hi CJ, this only normally happens when the paint isn’t a standard acrylic paint, have you tried a test just with the black paint on its own? How many coats of isolation do you need? Hi Dave, you’ll only need to apply one coat. I’m just learning about this ” isolation” technique that you’ve recommended before varnishing. I’d like to start doing that to some old acrylic paintings I did about 20 years ago which were never varnished or protected in any way. I’m sure they are dirty and dusty! How can I clean these before applying isolation and varnish? I so love your site . Your warmth , enthusiasm and encouragement comes through in all your responses . “It involves moistening a clean cotton swab in the mouth and rolling it across the painting’s surface. Saliva is warm and contains enzymes which act upon both lipids and proteins, two common components of “dirt”. It is important to note that the correct procedure is to roll the swab across the surface, as opposed to rubbing it, which could cause abrasion. But if this seems a bit extreme, then start with a lint free dry cloth, or a soft haired sable brush and work over the surface and vacuum the dust. Avoid using any household solvents and detergents. The classic spit and polish is the way to go! I just had the most horrible experience, which I think I can fix. I painted a few canvasses in a combination of acrylic ink and acrylic paint, both in light application. The background is gesso I tinted myself with acrylic paint. I haven’t touched them in at least two days. So today I tried to apply the soft gel as instructed above, and the paint started coming off. I was applying the gel with a sponge brush so as to minimise strokes. I wasn’t brushing hard against the canvas. I don’t know what the heck I did, or what happened. I hope it’s just a matter of having not let the canvasses sit long enough, but two days seemed plenty to me given the thinness of the paint application. Any advice or thoughts you could offer on this would be greatly appreciated. I’m hoping I don’t have to scrap the lot of the paintings and start over. Some of them were commissioned. Hi Lo, oh no! standard acrylics in a thin application will dry within a few minutes, and be able to have an isolation coat applied within 24hrs. The only way you would get a bleed is if the paint (it could be the inks) are watersoluble, or the acrylic you’re using is an interactive acrylic such as ‘Atelier Interactive’. Try making a test swatch, one just using your acrylics, one using the acrylic inks. Wait an hour and then apply a coat of soft gel gloss to see if the same thing happens. You will be able to paint over the isolation coat to rectify any parts that have changed. I need to varnish at least three of them, because they’re going into a restaurant. Is there any way for me to put on an isolation coat or varnish so as not to bleed the work, or am I going to have to start over? You could try spray varnishing, but again I would test a small sample first to see what happens, rather than trying on your paintings. Turns out the main culprit is the ink. That solved, I can just use something different to paint over the spots that bled. However, the background came up also, and that was just regular gesso tinted with acrylic paint that did NOT bleed during my test. Also, it looks like Liquitex paint markers bleed also. So, as much fun as they are… and so on. How would it work if I sprayed a watercolour painting style fixative, THEN the gel coat, THEN the varnish? Hi Lo, pleased you tracked down the culprit! good luck with finishing the commissions. can I touch up and then add another layer? Hi Tina, hope Lo’s thread helps, but yes you will be able to paint over any areas that have changed, and I would go through a series of swatch tests to find the culprit! Hope you manage to save your painting. Dear Will, Thank you so much for the quick reply with such clear and precise thoughts. I really appreciate it as I’m needing to sort out this painting v. soon. Can I just ask one more question — Do you think a spray matte varnish would be better than a brushed on one? Will let you know how I get on. Hi Lesley, if you make sure you shake the spray matte varnish for a really long time then it can work well, the only problems can occur when you have a separation between them matting agent (which is white) and the rest of the varnish, it is not properly mixed together it can cause speckles of white onto the surface. The brush application is easier to make sure it is mix properly, however, you’re then more likely to have visible brush marks on the surface. Thanks again Will. So knowledgeable. I give it a go thanks …. Thanks so much, Will. This will save me a lot of frustration. I appreciate all of your answers to the questions posed. They all help. Dear Will, Thank you for all your help. For my isolation coat on acrylic paint can the soft gel be put right over the Gesso? I just sanded, filled and cut in miles of white acrylic areas using Gesso. Ack! Help! I just put an isolation coat on a painting with a very dark background and some of the light areas carried over in the brushstrokes to the dark area! Is there anything I can do to salvage this painting from these ugly smears? I applied the isolation coat, but it left streaks. Is there a way to cover them up or maybe even remove them? Worst part is I didn’t notice them until after applying the varnish. So varnish is dry and I’m left with streaks. Hi Dave, the only option would be to remove the varnish layer, repaint the section and then re-varnish. There shouldn’t be any streaks if you are using standard acrylic paints. I understand that this isolation coat that you recommend is for acrylic paintings but have you any advice of how to seal watercolours? Hi Orla, you can use a watercolour varnish spray such as this one. The only way you would get a smear is if the paint are watersoluble, or the acrylic you’re using is an interactive acrylic such as ‘Atelier Interactive’. Try making a test swatch just using the black, wait an hour and then apply a coat of soft gel gloss to see if the same thing happens. Hi…I am such a dolt! Just went thru my box of acrylic paints and what did I find…a tube of black aquarelle…which I must have used. Guess I can now call the pieces “mixed media”. You were soooooo right!!! Thanks. Using a light fixative. And going to pay closer attention in the future! Ha, ha, no worries CJ, pleased you solved the issue. Hi Debi, great to hear your acrylics have been improving! Yes, you can leave the acrylic painting just with an isolation coat, it will still give it UV protection, even the sheen and protect the surface. Hi, have been using gloss medium to finish off my paintings because I didn’t know about varnish. Does this work ok? If not, does it work ok for an isolation coat? I have heard of a product called “gloss medium and varnish.” Is this different than varnish? Or should I be looking for something that says just “varnish?” Thanks! Hi Kim, have a read through this article which goes through the various considerations of if to varnish or not. Gloss medium & Varnish is a polymer medium that can be used as a medium or a varnish, it is a non-removable varnish, so can be used instead of an isolation coat for the final varnish. You only need an isolation coat if you are intending to apply a removable varnish. Great informative site! Had no idea about varnishing until now. I have a teensy question though. Ive recently completed a decent sized multi media acrylic painting. I’m wanting to make it peel proof, but I’m worried about my contrasting mediums getting lost. I’ve painted all acrylic, used water to mix, then applied pouring medium in areas for a gloss effect. The pouring medium created a 3d pop and contrasting gloss to a matte background. I know I would need a paintable varnish, because of needed precision. Do you think an isolation coat and varnish would flatten the height and, if not, would it be plausible to do matte varnish on the background, then gloss varnish on the glossy medium? It would be very tricky to isolate the different sheens on the surface to a matte and a gloss varnish. If the matte/gloss aesthetic of the piece is important I would personally leave it unvarnished. However, If you want to experiment with varnish just make a super small version of your piece and test different varnish applications on that. I mixed with a hand blender and there are a lot of bubbles. I am using on silk paintings over canvas for uv protection to bring out the color more vibrantly like it is when it is first pulled from the steamer. Will the bubbles go away if I allow it to sit? Will the bubbles hurt anything-I am assuming they are not good? Should I throw it out and start mixing by hand? Hi Kelly, I would always mix by hand as you are trying to keep bubbles to a minimum, ideally mix by hand, leave for 24hrs for all the bubbles to disappear and then apply. I am working on industrial ceramic rejects. I stick different pieces with a mixture of white cement and fevicol. I also add wood, wire…etc materials to the ceramic piece depending on the design. I want to understand the procedure(materials) to color the ceramic(glazed and non-glazed)and other parts to make final finished products that lasts. 4. add a layer of protection – here I have tried varnish form Camel brand but the paint smudges. Thus I tried with water based glossy PU (used on walls/furniture). The paint does not smudge but the outcome is matt. I have also tried artist water colors and coated with varnish – this was ok. For some I have tried melamine – this was a little yellowinsh and difficult to work with brush. On the glazed ceramics whatever colors I have used gets easily scratched. Ceramic paints and glass colors from camel brand are ok but these are too thin to paint with. I request your guidance to understand what process should be followed. Also the products will be sold at very nominal price so I have to use paints/finishes that are not too expensive. To have ceramic glazes embedded into the ceramic you would need to apply them and have them fired in a specialist kiln. You can read about the process here. Hi Bhavya, ahh, I see, I haven’t personally done a lot of painting directly onto to ceramics as I have more experience with actual industrial ceramic production. Here are some other techniques available you might find of help. First of all thanks so much for your simple videos. I am acrylic painting beginner. Just done with 3rd acrylic painting. I am not sure about how to protect these from dust? I am happy with matt finish of acrylic on canvas. Please suggest what should I do to protect these from dust. I am not sure about glossy finish after varnish. Hi Prajakta, you can apply an isolation coat or a coat of varnish to protect the surface. Wonderful clear instructions and site- thank you! I have a question regarding murals- I have used system 3 acrylics over the top of a household acrylic paint base (ie. on a pre-painted wall). I have done this before and the murals still look great after 12 years and even in a sun baked conservatory. However, this time it is an area of high use and potential for spills etc on the wall so it will need to be wiped clean- so I am keen to varnish (matt). 1. Will it be ok to varnish over acrylics over household acrylics? 2. Do I need an isolation coat? 3. I can’t lay it flat so is spray best? ( it’s not a very well ventilated area and there will be residents around). 4. I have mixed system 3 acrylics with the household acrylic for some of the larger paint areas (to save on costs)- will this also be ok to isolate/varnish? If you can point me in the right direction I would be really grateful thanks! You might find this article helpful on painting exterior murals, that goes through in detail paint and varnish choices for best practice. Thanks Will- it is an interior mural but I will definitely check out the article you have suggested. You would be able to apply an isolation coat onto the wall without any drips as it is quite a viscous mix, polymer varnish is also quite viscous so could be applied with a brush without drips but a MSA varnish would be harder to achieve an even coat. A gloss varnish would give you the most easily wipeable surface. Yes, it will be okay to varnish, but would be harder to remove and replace the varnish, so I would act as if the varnish would be a permanent finish. Hi, is it possible to add crystals to a painting without them falling off? How can I apply on a acrylic painting? Hi Anne, you might find this article helpful on gluing crystals. Hi Bing, yes you’ll be able to apply a varnish directly ontop, it will just me very hard to remove it in the future if it ever needs replacing, you can read more about it here. I just used Liquitex Pouring Medium over the top of an acrylic/collage painting. It is very glossy and liquid looking and people are tempted to touch it. It is perfectly dry, but I am worried about fingerprints. How would I clean the surface if I have to? Just a slightly damp cloth would work fine. Hi Becca, I would always photograph works before applying any gloss mediums as it will reduce glare on the camera lens. You don’t have to varnish the work or apply a varnish, you might find this article on varnishing acrylic paintings of interest. You’re welcome Becca, pleased you find it helpful. I have put an isolation coat as per instructions on my acrylic painting which has a lot of black in the background. Unfortunately there are a couple of cloudy rough patches probably caused by me over brushing these areas while apply the iso coat. Do you have any tips to get rid of these? Hi Jacqui, unfortunately once the rough patches are within the surface they are hard to remove, working back over the isolation coat when it’s semi-dry can easily cause these patches to occur (as I found out myself in the past). Hope it hasn’t disturbed the aesthetic of your painting too much. I re painted over the area in question then added another the isolation coat, carefully and quickly. It’s had two coats of varnish now and is looking good. Oh good one Jacqui, pleased you managed to get a good finish. Thanks for your expertise and assistance! On my acrylic paintings, I like to do some fine line-work with permanent marker or ink. Will this smear when I add an isolation coat? If so, do you have any suggestions of products or methods? Hi Tommy, with a permanent marker is shouldn’t smear, however, many inks ( even if they label permanent) can smear, so the best thing to do is just to make a couple of small test pieces. Cover the surface we the different pens and inks that you use and just try them with the isolation coat. Then you’ll know for sure with the products you’re using, without ruining any of your work. No smear with the permanent marker! thank you so much for this post. Well, I have to seal alcohol inks. I’ve tried different sealers, acrylic etc.. But each time, alcohol inks shifted. red turns orange for example even if I let the ink dry a long time. So I think about putting an isolation coat. My question is : could multi medium gloss by ranger do the job ? or do I have to use Golden medium ? Thank you. Hi Marie, I haven’t personally used that medium so couldn’t say for sure how it would react with the inks. If you don’t mind a high gloss surface, try liquitex pouring medium. Thank you Will for answering me. So do you have an idea if I try golden brand ? Have you already worked with alcohol inks ? Hi Marie, I wouldn’t be able to say for sure how the alcohol links would work without testing, you could try contacting Golden technical help. Thank you Maria. I look for a high gloss surface so i’m going to try your idea. Can I use Mod Podge? Hi Dino, I personally haven’t tried Mod Podge as an isolation coat. I’m wanting to put the professional touch to a finished acrylic painting which is very textured and matte at the moment. I’d like the isolation gel coat to fill in the gaps between the texutures, but visually it will still appear textured to the eye. Do you think the isolation coat would work for me? I then want to apply matte varnish over that to cut down the gloss effect? What do you advise. At the moment, the painting lacks finish. Hi Lesley, in theory yes that would work fine as the isolation coat would fill in subtle gaps between the textures and then you would be able to put another matte varnish ontop to bring an even sheen together. If the paintings is only slightly textured it can work really well, what I would do is make a really small 6 x 6″ test piece (or test pieces) apply a variety of textures of paint onto them similar to the way you usually work, and then experiment with different finishes of the varnish to see which one suits the aesthetic you are trying to achieve. Then you’ll be confident when you unleash the isolation coat onto a finished piece! Hi Kristen, 90% of my paintings are varnished straight on top of the acrylic paint and don’t have any heavy medium underneath. It can be worth experimenting though if you’re after a specific textural or aesthetic effect. Pleased you’ve been finding the site helpful. Dear Will, I just finished a drawing on gessoed canvas and also applied a charcoal fixative on it. Would you recommend an isolation coat with Golden Acrylic sof gel? Hi Paola, varnishing or applying a isolation coat to drawings can be very tricky, and applying acrylic spray varnish in particular can cause quite a change in the aesthetic finish of the drawing. Personally I would stick with a drawing/charcoal fixative. Hi Amanda, the number of coats varies depending on the thickness of the brushmarks, more spray layers of gloss varnish would even out the surface, but it would be advisable to test of a small scrap piece first so you can judge if the final finish would be the aesthetic you’re after. I’ve been experimenting with isolation coats for my paintings during the past week. I typically apply a varnish over my paintings without applying an isolation coat. Upon my first tests with the isolation coat, the finish is quite similar to that of a gloss varnish ( I use Golden’s Polymer Gloss Varnish.) Can the isolation coat be used as the final ‘varnish’ or would you recommend still applying a varnish over the isolation coat? Hi Shawn, I would still recommend applying a varnish over the isolation coat. The isolation coat will still protect the surface and even the sheen more than no isolation coat, but it won’t be able to easily be removed. In order to have a ‘removable varnish’ you would need to apply a varnish layer on top. You can read more about it here. I saw someone using this gel medium you talk about here and was a little confused about what I did because she just covered her painting with it then proceeded to use it as glue for some paper cutouts. Thank you for this info. It cleared up some doubts. (Although, the whole site is pretty cool). I have some questions though. A few months ago I took a painting on canvas workshop at a craft fair (first time). At the end he sprayed what I’m guessing it’s a varnish over it but didn’t explain anything about it really. Now, I want to do mixed media on canvas using acrylic paint, archival ink to stamp, and paper cutouts. 1- should I use the gloss gel medium over the acrylic paints and THEN do the stamping? Or will the stamped ink be okay if I use the gel over it because the ink is acid free? 2-can I use the gel then a matte spray over it to kill the gloss? I would then over the matte glue other 3d attachments (screws, bolts, etc). Hi Jacqueline, I would do a test first with the Inks as sometimes they can run when an isolation coat is applied. Yes, you can apply a matte varnish over the isolation coat. I prepared the soft gel gloss and water mixture 24 hours ago. Won’t the gel have gone down somewhat to the bottom of the jar by now? Should one make sure the mixture is uniform, somehow or other, by gently rocking the jar or gently stirring? or is it unnecessary to do anything to the mixture before applying it? (The two Golden videos don’t seem to mention this point, and maybe I have missed it on your site). Also, what do you think of using a foam brush to apply this, as somebody does in Youtube? Thank you very much in advance, as always. Hi Mararty, this doesn’t really happen as much with a gloss medium, it’s more important to keep the mixture stirred when using a matte medium so the the matting agent is evenly dispersed. You can try a foam brush but I personally prefer a bristle. Hey. They don’t have soft gel at my local hobby store, they only have mediums. Would it be ok to use Winsor & Newton gloss medium as an isolation coat and what is the main difference between a medium and a gel? Hi Brenden, you can see a video about the difference between gels and mediums here. Hello, Thanks for such a great article. I am wondering if I can use this technique with ink painting or it only works with aclyric colours? And if it doesn’t work well, do you know what should I use? Hi Yosra, previous students have has trouble with inks running when the isolation coat is applied, the best thing to do is test a small sample as different inks will behave differently, alternatively you could create an ink effect using ‘high flow acrylics’. Hi Richard, You wouldn’t need to apply an isolation coat over the top of the already varnished work in terms of protection, only if you intended to remove and replace the varnish later in the future. You can read more about it here. I have learned so much through this thread! You are so helpful! I have tried using Kamar spray to seal watercolor (that is over acrylic paint), then used white paint pen for lettering, then clear varnish spray… and it ended up cracking the white pen lettering. Not exactly sure what in the combination caused it. I was wondering if an isolation coat might help? Could an isolation layer be put over a layer of Kamar (that is sealing the watercolor), and over the white paint pen? It seems the final varnish spray was when the cracking happened. So an isolation layer may protect it? If an isolation layer can be used over top of everything! (acrylic, watercolor, kamar, paint pen) I hope this makes sense. Thanks for your help! Hi Jennifer, mmm, hard to say due to the combination of the different mediums, as applying the isolation coat can disturb watersoluble paints like watercolours. It should be okay over the paint pen, but again it depends on the archival quality of the paint pen. The only thing I would recommend is a small test with the specific mediums you’re using to see if it gives you the aesthetic finish you’re after. Hi Will, thanks for your artschool – you’re awesome! :) I’m portrait painting this year (new venture!) and the isolation coat and glazing makes a lot of sense to me. I just wanted to check that when you mention using the same brush for both – is this brush cleaned with water in between the drying time? Just puzzled as to why you wouldn’t just use another brush also cleaned with water…? Thanks so much & looking forward to learning more. Hi Anh, I usually use a separate brush for varnishing, but if you wash the brush thoroughly with a brush cleaner you can swap in-between the layers drying. 1) I am trying to protect my mixed media (acrylic + permanent marker) paintings on a linen canvas. Can I still use the isolation coat + varnish? 2) The environment my paintings will be stored in will include Salty moisture (sweat), dust, etc, plus the occasional wine etc spilling on the painting. Can the isolation coat + varnish protect the painting? 3) Is there a varnish you know that is really long lasting (>10 years)? You can, but with some ‘permanent’ markers the isolation coat can still cause streaking, other students have tested the isolation coat with their permanent markers and its worked fine with no streaking, so its just a matter of testing the pens you’re using. Sounds intriguing! a few coats of varnish will create a good protective layer. The modern acrylic varnishes will last years and years, they will just attract any atmospheric dust over the years, hence having the isolation coat for ease of replacing the varnish layer. I messed up my isolation coat – I didn’t realize I was supposed to mix it with water, and it was way too thick and ruined the reds / blacks. I rubbed off the coat from the worst areas (not an easy process), but now I don’t know how to reapply – some parts of the painting have the isolation coat and some don’t. Any advice? Hi Nikki, oh no, if you’ve managed to rub back to a smooth surface you then re-apply a watery coat ontop to even it out. I am working on a large acrylic, 4ft X 5ft, and ask your advice on spraying verses brushing the isolation coat and final varnish. I did a smaller trial piece which I brushed the gloss isolation coat and finished with a brushed satin varnish and that worked out just fine. However, I am concerned about brush strokes on such a large piece, which I messed up the first time around with the varnish. Also, I have metallic, iridescent and textured areas which I applied on top of the final satin varnish on the sample fearing I might compromise these finishes. Do you know how a satin varnish will affect the iridescent and metallic paints? Hi Tish, the satin varnish will definitely affect the iridescent qualities of the paint finishes. The matting agent used in the satin varnish can slightly dull the metallic paints. Gloss varnish would give the clearest varnish, but that might not sit with the finished aesthetic that you’re after? Thanks for the quick reply. What do you think about putting the metallic and iridescent finishes on top of the final satin varnish coat. It will be harder to get a good bond onto the varnish, and of course with the metallic paint layer ontop you wouldn’t ever be able to remove/replace the varnish. Are you varnishing for protection or aesthetics? but you could still do this, it’s just the varnish layer would be permanent. I’m nervous about mixing up the correct amount of isolation coat for specific canvases sizes…in case I run out of mix halfway through brushing it on. For example…how much would I need to mix up for two 40″×30″ canvases? Hi Orla, personally I have two tubs of soft gel gloss, one that is as it comes straight from the factory, and the other is diluted down for an isolation coat mix. I have each tub mixed for a couple of months and it lasts really well. I’d always go for ‘overmixing’ than undermixing. Thanks, Will. I think I’ll buy a second tub and do as you do. I didn’t realise the mix would last like that. That’s good to know. Hi Tish, if you were using a polymer varnish you could do this as its a similar consistency to the isolation coat but for a MSA varnish they are usually more fluid and likely to run so I would just brush this on. Let’s say I didn’t completely read the directions and my isolation coat was not thinned with water at all (solid gel gloss). Do I need to add another layer that is thinned with water or can I just varnish over my 100% layer? It didn’t mess up the painting besides adding a few brush strokes that don’t bother me. Ohh good one Nikki, pleased it don’t ruin your painting too much. Hi Nikki, you wouldn’t need any more of an isolation coat on top. Hello…I wish I had come across your page before I varnished my painting …as it is realllyyy helpful . Unfortunately I forgot to add an isolation coat and have already varnished it . Is it too late to add isolation on top and re varnish? Hi Maz, I wouldn’t apply another isolation coat on top. Your painting will be absolutely fine, you’d just have to be careful if you ever remove and reapply the varnish layer in the future. Greetings, Will. I just applied an isolation coat with a decorator’s brush by mistake. It is still wet, and I can see lots of brushmarks. Once it dries is there anything I can do about the brushmarks? Just lots of coats of varnish? Would there be any advantage to using a spray varnish in this situation? Thanks. Hi David, yes a build up of varnish layers would help to level out the brush marks in the isolation coat and a spray varnish would work well for a super smooth finish. It might take a few thin coats but it will even out. I have yet another question ! For the moment I am using the Golden Soft Gel Gloss, 2 parts with 1 part water, and stopping there. i.e. Not varnishing, as I like the results. Is it possible, please, to get a “duller” sheen just using the Soft Gel Gloss and – less ? water – and/or perhaps adding something to the mixture, without having to use varnish afterwards?Thank you, as always, for giving us your invaluable help, your time and your patience! Hi Mararty, in terms of changing the sheen, the more water you add will create a less glossy finish, however, it would also weaken the film of the isolation coat, so isn’t ideal. The less water, the more glossy it will be. If you just leave the isolation coat as the final layer it would defeat the object of having a removable varnish layer on top, as any atmospheric dirt or dust would adhere to the isolation coat layer and as such be harder to remove in the future. If you don’t intend on applying a varnish you could go straight on with a satin varnish and skip the isolation coat stage, the isolation coat is intended for when you are applying a removable varnish ontop. 1. I prefer a satin finish when using a brushed varnish, applied after the Golden soft gel gloss/water mix. Do you have a recommendation for a brand/type of spray varnish which will give the satin finish, keeping in mind I can’t use a brushed on isolation coat? 2. Any tips on spraying the sides of the painting? Golden Acrylics do a nice Archival satin spray varnish and Winsor and Newton also do a professional spray satin varnish, both are good. In the past I’ve brush applied the varnish to the sides to start with so they are covered and then lightly misted the sides with a spray before spraying the front. That way you have the same level of protection but still keep the finish of the spray but without having lots of over-spraying onto the front of the canvas. If you want to spray entirely I would mask out the front of your painting, spray the sides, and then spray the front. Would it be feasible when considering over-spray to spray varnish a rather large canvas in my basement? I was going to use my garage, but keeping dust and dirt off the canvas during dry time is presenting a problem. Which is the better of the the two evils? It’s hard to say Tish, usually the most dust-free, and to have a warm environment, spray varnish doesn’t like it too cold. Ideally you’re trying to have the canvas and spray at a similar temperature. Thanks for your help with the spray varnish. I ended up using Golden Archival Satin spray varnish and was happy with the results. To “mask” the front of the painting, I put the painting face down on a painters canvas drop sheet to spray the sides then sprayed 2 coats on the front, waiting 20 minutes between coats. Was a little nerve racking being the first time I have sprayed varnish on a painting, but it turned out good. Thanks again. Brilliant one Noreen, thanks for the update, pleased it worked well. I just stumbled upon your blog here & I appreciate how much knowledge you have in this arena! I am wondering if you can recommend a product that offers UV protection, but does not alter the original sheen of the work. I recently completed a work that was done in acrylic paint with paper collage & gold foil leaf applied over the image. I liked that it had a variety of different types of sheen in the work. And when I put the UV gel coat over the work, naturally the entire piece took on the glossy sheen of the UV gel. It looks fine, but I have to admit that the work kind of lost a depth it had before I applied the gel. Any suggestions? Hi Jeanne, pleased you’ve been enjoying the site, you won’t be able to apply a UV protection top coat without it altering the sheen, especially with gold leaf applied. The only thing you could do is apply a matte finish to the paper works for protection and then apply the gold leaf ontop, however, this might not fit in with your painting process for your work. Thanks so much for your speedy reply, Will! I very much appreciate the info. I have another question for you: Can you recommend a permanent UV topcoat that is fluid? I’ve been using Golden UVLS gloss gel & I don’t love that it leaves such obvious brush strokes. I read on the website that this product shouldn’t be thinned, as it will lesson the UV protection. Thanks for any help you can offer. Hi Jeanne, yes the UV topcoat from Golden does retain the brushmarks, I’m not aware of any thinner permanent topcoats, for my artworks I would personally always go for the isolation coat/varnish approach. While Gel Topcoats will provide substantial UV protection, as well as some chemical and water resistance, they are permanent non-removable coatings and any damage cannot be easily repaired. Also, being acrylic-based products, they are subject to dirt and dust accumulation, may become tacky in warmer temperatures, and their surfaces can be easily damaged during handling or shipping. A final reversible varnish such as GOLDEN Polymer Varnish, MSA Varnish, or Archival Spray Varnish is recommended for fine art paintings and prints if not displayed under glass. So happy to have found this information. I just picked up painting with acrylics again after many years. I have finished 2 paintings and want to put the isolation coat on, I’m nervous apply it to the painting, I will push through and do it though. Hi Stephanie, It can be washed with soap and water, I like ‘Masters brush cleaner’. Hi, wondering if I can spray an aerosol acrylic sealer on the painting BEFORE the isolation coat. Will the isolation coat prove solid above an aerosol sealant? Just curious, because I really hate how the isolation coat seems to always pick up some color. I have found even on the driest paintings, that even after months, the soft gel isolation coat never goes on perfect. Hi Jan, in theory if you sprayed your painting with an acrylic sealer that would essentially do the same job as an isolation coat, you wouldn’t then need to them paint the isolation coat on top of that. I’m not sure how the varnish would sit onto the sealer as I personally haven’t tried it, but if you’re spray varnishing aswell it should work fine. I would do a couple of tests and see how the final finish works. Interesting. I use Golden Open Acrylics and often I thin them with water when painting. I have noticed more than once that even on very dry paintings, this Golden Soft Gel manages to remove paint or change it so much that I have to touch it up again by mix-matching repair-colors. Hi Jan, Golden OPEN paints can be more tricky due to the way they dry, Golden recommend a couple of weeks of drying with the paints before applying an isolation coat. I see. I thought maybe it was because I let a bit of water into the paint, like reconstituting the paint. I read yesterday that water broke down the molecular structure of acrylic paint. Perhaps its better to actually use this softgel as a thinner and wipe brushes dry before using them to paint. I probably wont use these Open Acrylics again. Please help! Writing from Barbados (Caribbean). I have used Sargent Art Acrylic Matte Medium as a matte varnish on a large acrylic painting on canvas (it says I can on the label – the exact words “…use as a varnish coat”)…..usually use the gloss and never had a problem…but wanted to just protect with a matte finish…when it dried it did so with a ghosting of white all over, each brush stroke seen….I am horrified as I showed this ptg to a client who wants to purchase and now I am left with a mess…is there any way to remove this matte without damaging the painting or the canvas itself? Any product available for this? Distressed to the core at the moment. I know I should have tested first but being it was the same product except instead of gloss it was matte, I stupidly went ahead…any any advice would be so appreciated. Hi Rosemary, oh no, sorry to hear about the troubles you’re having with the matte varnish, the white ghosting is the white matting agent in the matte varnish and can often be more visible on darker colours. I’m not familiar with that particular brand of medium so it would definitely be worth contacting the company directly to see if they have a product they would recommend for removal. The other thing you can test is applying another coat of gloss varnish ontop, but again the results can vary depending on brand. Let me know if you have any joy. I would like to share some success with this after trying different things. I used Liquitex “F” medium gloss instead of Golden Soft Gel, and cut it with a little water. Then, after trying various brushes and foam brushes, I bought a small foam roller with very tight soft foam from a hardware store, about 6 inches long. I didnt use a roller handle, but rather pinched the back of the roller and squirted some of this medium onto the painting and smoothed it out with the roller. This worked extremely fast. I did a 2 foot by 2 foot painting in seconds like cleaning a car window with a squeegee. It dried to a very clear brilliant coat. Hi Jan. Your method sounds very interesting and one I am surely going to try. Did you have any issue with raised lines or streaks that arose along the edges of the roller passes?and did you go in multiple directions? Also do you have an idea of the water ratio you used. And lastly, did you use a sealer of some sort eg, varnish or spray poly on top of the liquitex or just leave it at that? Marie, the water ratio mix is on the bottle. The roller I used was a compact foam one that had very round, curving edges so no lines were left from roller edges. To me, the water ratio appears to prevent the isolation coat medium from drying too fast while you paint it on. I also think the water helps with leveling. Firstly, thank you so much for the outstanding content and lessons! I have been working my way through all of the content on your page for the last month or so and have turned our 5 paintings, each showing considerable improvement over the last. Since I want to get the most out of each study I have been doing some varnishing of the completed pieces with what I believe are good results. However, I am a little confused on whether what I’ve been doing is actually a final varnish or just the under coat. What I have been using is Liquitex Professional Gloss Varnish which I have applied directly to my paintings. It says that this is a permeate varnish which is throwing me off because from what I understand the under coat is permeate but the varnish is removable with ammonia. Is this just an undercoat and I should apply a removable varnish on top of this layer or is this the final coat and I should use an under coat beneath this on my subsequent varnish jobs? 1. one coat permanent varnish layer. 2. one coat isolation coat + removable varnish layer. This is the first time that I m using an isolation coat on my painting. I use mostly gold leaf and acrylics and I m really confuse about the varnish and isolation coat that I shud use. I have seen some videos on YouTube that have shown how gloss varnish can give patchy gloss reflections. I just want to achieve a balance sheen as a final result ,not very dull and not very glossy. Now i m highly confuse and nervous . Kindly help me selecting the right products. Gloss varnish will give glossy shiny reflections, the most balanced mid sheen is a ‘satin’ finish, that is half-way between ‘matte’ and ‘gloss’. Any varnish will dull down Gold leaf. 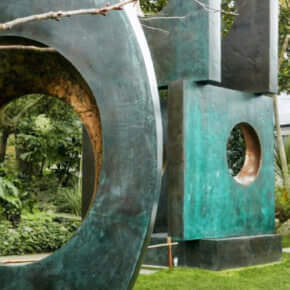 The best thing to do it try a few test pieces to see the aesthetic finish you’re after. The shop in my area doesn’t sell GOLDEN Soft gel gloss. Instead it sells Winsor & Newton products. I’m getting a little confused with all the names and therefore I want to be sure I am using the correct isolation coat. Is Winsor & Newton Artists Acrylic “Gloss Gel” the one I can use for the isolation coat? It is sold in a 474ml round tub or plastic jar. And you want me to mix two parts of the Gloss Gel with one part water? So I will need to mix it all together in a jar. Then for the varnish, can I use Winsor & Newton Artists’ Acrylic Gloss UV Varnish? Hi Dennis, yes the gloss gel will be the closest to the Golden soft gel gloss, the ratio will be slightly different because the gloss gel is more solid straight from the jar than the soft gel gloss, I haven’t personally used the Winsor & Newton for an isolation coat so couldn’t give a precise ratio. If you start with the 2:1 and then you might need to mix in a touch more water. Then the varnish you use would depend on the aesthetic finish you’re after, personally I would create a small test piece using the same colours/paints from your painting and then try one strip matte, one satin and one gloss. Then you can see the different effects and which one would suit the painting. I’ve put down an isolation coat of Golden Soft Gel (Gloss) on my 4’x6′ finished acrylic painting – all good there; I’ve missed a few small areas in my painting strokes. If i go ahead and varnish, will one see these small areas where the isolation coat is missing? Should I go ahead and put one more thin layer of isolation coat again with brush strokes going the opposite direction?? Or, should i just go straight to varnish? Hi Jennifer, it depends on the surface of the paint that has been missed by the isolation coat, is its quite thinly painted then the varnish would soak into the surface more that the isolation coat, if the paint is quite thick and smooth you could just get away with it. I would add another thin isolation coat in the opposite direction to be doubly sure, but appreciate the size of the canvas! First of all, thank you So much for responding so quickly after a holiday. You are so on my Christmas card list! You are professional and good-natured to have come back to help me. I have a pretty large triptych pieces 48×120″ in which I’m finishing up for a commission. I’m really trying to do my research to make sure the pieces don’t turn into one big hazy fog/cloud in the varnish process. I’ve spent so much time on these pieces for this to happen! Again, my overall goal is to lesson the look of brushstrokes and secondly prevent fogging/clouding, but believe #2 here is eliminated with the two thin layers of Golden Soft Gel (Gloss)? I have two more triptychs to isolate and varnish in this series.– thank you for your reply one more time on this issue. The framer is looking to get my pieces tomorrow for framing tomorrow/Monday. Just checking, have you done a small test with the matte varnish to check the aesthethic finish? because with the matte varnish the colours will de-saturate and dull much more than when the gloss of the isolation coat is applied. Gloss brings out colours and saturation and enhances dark colours. Matte dulls down colours and makes darks more cloudy. This is due to the matting agent using in matte varnished being white, so it’s like adding a very fine veil of white to the piece. Just double checking before you proceed over that size of canvas. 1) I’ve put down one layer of isolation coat Golden Soft Gel (Gloss). The colors at present look great/they pop but appreciate it’s the gloss factor. Question: this first isolation coat is quite streaky! I still have to put a second thin layer of isolation coat and then finally finish off with varnishing Golden Polymer (Matte) but will the glossy streakiness disappear with the second isolation layer, or will the final varnish coat (matte) just veil the whole acrylic painting in a beautiful smooth coat? 2) Drying time for isolation coat: 24 hours? 3) Drying time for varnish: I see final dry time 1-2 weeks. 3-6 hours in between layers. Hi Jennifer, I would try on a test piece a couple of thin layers or one thick layer to try and get the consistency of application, but it would be worth adding another layer so you have a more solid barrier before the application fo the varnish. Yes, those timings sound great, the polymer varnish should be touch dry within a few hrs but waiting a few days before shipping/wrapping is always helpful. Thank you for such great advices!! Do you think your tips will work fine with ink painting such as; (pigment/ Indian/ calligraphy) or it works only with aclyric? Hi Yosra, for an isolation coat it works best with acrylics as with some inks you can get a slight bleeding of the colours. Can I use clear gesso as an isolation coat? Thanks! Hi Kristine, personally I wouldn’t as the clear resin used for a clear gesso has been designed to give a tooth for the next layer so would make it harder for replacement of the varnish layer and I would imagine not be as clear as a gloss medium. I have several beginner acrylic paintings that I wasn’t able to varnish at their completion. I wasn’t able to paint for some time, but I’m trying to return to it again. The paintings are about 6 to 10 years old. Are they too old to varnish? What do you recommend I do? Thank you. Hi Cat, the paintings can still be varnished, but I would try to gently clean the surface first before applying a varnish otherwise you will seal in any dust that has accumulated on the surface with the varnish layer. Thanks! I was so afraid I was out of luck after reading the book Glazing By Michael Wilcox. He thinks that acrylics should be varnished as soon as the painting is done. Do you think there are special circumstances when that might be something to do? Hi Cat, yes ideally you would varnish your acrylic painting soon after finishing them, but there are always exceptions. Hi I hope this site is still active as it is a wealth of information. I have two questions. I have recently started using the Molotov markers with golden high flow acrylics. I love them but when I put on on the isolation coat after the paint drys it seems to activate the high flow acrylic paint again (especially the black) and it smears. Suggestions? I sometimes pour GAC 800 over my finished painting to create a clear resin like finish. I have not used a varnish as I worry that it will cloud or destroy the finish – what should I do? Hi Linda, nice to hear from you, how long after finishing the painting has the isolation coat been applied? I am a collage artist. I paint photos taken from my printer that are always black and white. I paint every photo with acrylics for my collages. The black ink from the printed copies even when completely dry will smear when I mount the paper with glue on card stock before I start painting. Just running the brush with the glue over the image will release the black ink and damage the white surface with black in the brush strokes. I would like to brush an isolation coat on to the paper photos before I glue them to the card stock. Is this possible? I would like to brush an isolation coat over the acrylic finished painted poster to preserve the painted details before I varnish the surface. In the past varnishing has removed much of the detailed painting that took hours to finish. Acrylics and varnishes are not friends. Acrylics must have a protective varnish on the surface otherwise the color gets powdery and loses the pigment quickly. First I need to coat the surface of the finished poster to protect the acrylic paint from the varnish I must use as a top coat. Is this possible? Hi Jonell, have you had a look at some of the digital acrylic transfer mediums you can use? these can help to use printed images directly onto your canvas. While researching varnishes for acrylics, I found your website which is very helpful indeed. Got a question for you: would you use, instead of the Golden Soft Gel Gloss that you suggest, the Winsor and Newton Gloss Gel (which I do have) to apply an isolation coat and if so, would you use the same 2:1 medium:water ratio? I also have W&N Artists’ UV Varnish to follow up the isolation coat. If you have a minute please take a look at my provisional website (W.I.P. ), I would love to know what you think about my work so far. Hi Giuseppe, I can’t see any issues with using the Winsor and Newton Gloss Gel as an isolation coat, personally I’ve always used the Golden brand, but you could always email the technical support just to make sure. Hi Susan, an isolation coat will create a good surface for applying varnish if the walls are quite absorbent and if you’re using a matt/satin varnish. I would reccomend a varnish due to the harder quality of the varnish layer in comparision to the isolation coat – it gives a tougher protective finish. I ended up applying two coats of the gel medium since the first coat looked patchy. Have I ruined it? Should I add the varnish over it? What do you recommend for coating large paintings evenly? Hi Ej, no you haven’t ruined your painting, two coats will be fine, and yes I would recommend a varnish over the top. For large paintings it’s best to try and work up to a section at a time, for example from the sky down to the horizon line in a landscape, so the lines in the composition can help to cover any transitions. Alternatively, if you have a well-ventilated space or a calm day outside you can spray apply varnish. It’s a little more expensive due to overspray but you can build up light coats layer by layer to achieve an even finish. Thank you for creating the Youtube videos that inspired me to finally put paint to canvas! I’m now facing the dilemma of which products to buy for use as glazing liquid gloss, isolation coat, varnish, and solvent; with only limited art supplies being available here in Dubai. – Schmincke Soft Gel (Glossy) – does this sound like it could be used for an isolation coat? I have not yet seen any MSA on sale yet so far… Is it absolutely necessary to dilute varnish with MSA before application? Are there any alternatives? Galleria gloss medium – can this be used for glazing while painting? Daler Rowney and Galleria varnish will both be good. For the MSA varnish application you need to dilute it with a solvent. 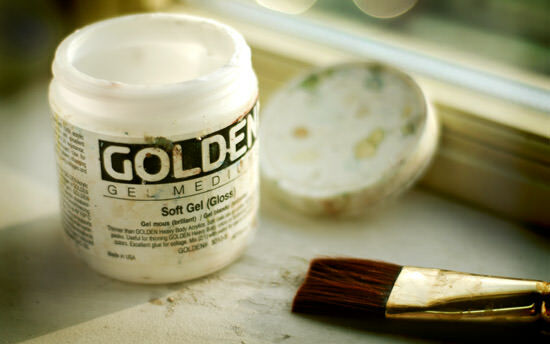 Golden recommend their Golden Solvent that can also be used in the future to remove and replace the varnish. You can read more about the different varnishes here. Hi Will, I found you by asking Google about “sticky acrylic painting on tile”. Wham! There you be. My quandry: i purchased a painting in Mazarlan done on glaszed tile. Jose’ created this piece while I watched. He also made a tent like container out of cardborad leaving tthe ends open for air flow while it dried and for travel. This was done this last October and it is still very sticky. I’m thinking the humidity in Mazatlan interfeard with the drying process. There are also a few very noticable finger prints and smudges. How can i fix these areas? What can I apply to the painting to make it not sticky? Hi Pamela, it’s hard to say as it all depends on what the finishing material was painted onto the tile. Most varnishes dry with 24-48 hrs, but if the tile was painted in front of you, it sounds like it wasn’t varnished, just the paint surface that is drying out. It might have been painted in an oil based paint so the drying time will be longer. Hi Margo, yes, it sounds like it is the gloss medium. The soft gel gloss from Golden paints is diluted with water before applying an isolation coat so the drying time is quite speedy. The gloss medium you’ve used will eventually dry it just might take a few days. Hi. I, like many, have just finished an acrylic painting for the first time. I’m a self-taught artist & did this painting as a way to learn the medium & how to use brush strokes to effect. I realized after I was through that I really liked the end result, and despite some nervous jitters about showing it to others, I intend to try to sell it after completing more for a portfolio. My painting is partially flat, fairly glossy & has added areas of dot-spiked texture to create a interesting movement. How do I apply an isolation coat that 1) won’t pool between the “spikes” (hundreds of them) or 2) won’t create a layer that makes the “spikes” flat. Should I just skip that step & apply spray varnish? Also, the painting is 16×20 with a 1.5 to 2 inch depth. p.s I forgot to add that the textured areas are from a multi-purpose puffy paint (usually used on fabrics). I don’t know if that makes a difference. Hi Charity, I haven’t personally used the puffy paint so I’m not sure on what is the recommend varnish for that paint. Due to a lot of spiked areas on the piece, I think building up thin layers of spray varnish will give you the best effect. You could try a test piece with a small piece and replicate the spikes and then try with an isolation coat to see how it pools with a brush and then judge from there. Thank you for the quick response on my thread. I’m not familiar with many aspects of painting. Are glossy paintings bad? I’ve seen a lot of remarks about the lighting and aesthetics… I’d planned on using a glossy varnish but maybe I should switch to satin instead? I don’t really understand the differences. I have copper & silver in my design… so I assumed glossy would be better. Hi Charity, glossy paintings can be great, it’s all a matter od personal taste and the aesthethic feel you’re trying to achieve with your work, you might find this article on varnishing of interest. Aren’t you awesome to be still answering questions on this article after so many years! I’m hoping you can help me too. I work with paper as my medium and am wondering how best to finish my pictures. I’m looking for something that will protect the paper from discolouring with age but leave it still looking like paper. I’ve used an acrylic varnish on some but it gives the paper quite a plastic look and is so reflective it makes it hard to see the picture when viewed under electric light. Hi Melanie, and a happy new year to you! you might find it worth experimenting with a couple of archival spray varnishes that are suitable for paper. It is non-yellowing and can be overpainted. The aerosol cans come in gloss, matte and satin. The gloss will give to the clearest film and most saturated colour but will leave a glossy finish, the matte will give you the least saturated colour but be closest to a paper non-reflective surface. You can see a product info pdf here. They are quite expensive compared with other spray varnishes £20 – £25 for 400ml (most professional spray acrylic varnishes are around £10.00 for 400ml) but offer the flexibility to be able to use on a variety of surfaces. I have found a Polycrylic clear gloss spray varnish in the USA for around $12.00 from a Miniwax company. I’ve found this is a good spray, as it is not matte nor satin that will turn dark colors milky. I enjoy it, because it dries fast, is non-yellowing, and prevents brush-strokes, but doesnt reflect light like brush-on gloss, which leaves a painting looking wet. I know this is an old thread, but here goes.. I airbrush on canvas. I want to spray multiple separation barriers throughout the painting process and would like a formula to do so using a spray gun. If I use soft gell gloss will the next layer of paint adhere to it. For spray application of an isolation coat, a mixture of GAC 500 (2:1) with Airbrush Transparent Extender is well suited. My painting has a surface made up of a mixture of gloss and matte mediums which I used to dilute the paint as I work. I work with many many layers of transparent paint. I want to apply and isolaiton coat before spraying with matte varnish but do not wish to make it more glossy, or even all one gloss level. How can I get around that? Even if you’re applying a matte varnish final layer it’s best to use the soft gel gloss as an isolation coat. Otherwise, you run the risk of the matting agent in the varnish absorbing into the canvas/paint surface. When applied to the gloss surface of the isolation coat you will achieve a more even finish to your final matte varnish. Dear Will, Your site is most helpful. I just finished my 1st isolation layer on a 16 X 20 inch acrylic painting using Golden Soft Gel (Gloss). I followed your instructions and those on the Golden site. It was a bit scary when I saw the milky covering on my painting, but it has turned out just fine. Thanks for the excellent information and your wonderful site. So pleased to hear it Shirley and really glad the isolation coat turned out well. I’ve used acrylic ‘inks’ on aboard and some patches are very reflective in some lights. Its a dog portrait with a lot of dark colours on the dog and the background is matt is like to even it out. Really don’t want a gloss finish so what do you recommend? Hi Sandra, I would apply a coat of isolation coat (glossy) and then apply a matte varnish ontop, it seems counterintuitive, but the matte varnish will give you a much more even finish when applied ontop of the shiny gloss isolation coat. 1. Can Liquitex Gloss Medium and Varnish be used as an isolation coat and varnish since it has both the Medium and Varnish in one bottle? 2. After applying the Isolation Coat using Golden Soft Gel to my acrylic painting, can I apply a permanent gloss varnish? I have already applied the isolation coat, then I realized I will probably not retouch painting in the future so why not use a permanent varnish on top of the isolation coat? After applying the Isolation Coat using Golden Soft Gel to my acrylic painting, can I apply a permanent gloss varnish? Yes, that is the purpose of an isolation coat, the isolation coat is an acrylic polymer, painted over acrylics. Then you can paint over with either a waterbased or solvent based varnish. Thanks for the information….very helpful! 1. If using a permanent gloss varnish, then can I apply directly to acrylic painting without an isolation coat? 2. If using an isolation coat, then how many coats to apply and how long to wait in between coats? 3. When applying a varnish, how many coats and how long to wait in between coats? It depends on the look you’re after, but usually, one or two coats will give you a good even finish, the time between coats will vary depending on the type of varnish, most varnishes will have suggested drying times, but 24hrs between coats is always a safe bet. So happy to ran into this blog. I just finished my first acrylic paint and was recomended to put a varnish seal/coat over the painting. I went ahead and purchase the Golden Archival Varnish Mineral Spirit Acrylic Aerosol w/UVLS (Gloss). It was not until I had sprayed once and while waiting to give a second coat that I realized that I was supposed to have given it an isolation coat before the varnish. What do you recomend? Did I mesa up? Should I go ahead with the second coat of the varnish and forget about the isolation coat? What will happen to the painting? Would you please let me know what you think? Hi Is this technique suitable for isolating an underpainting before adding coloured glazes or is there a better product to use? Possibly a leveling agent? Hi Andrew, in theory you can use an isolation coat inbetween layers, but it will cause a very shiny surface for the next glaze layer to go onto. If you’re using a glazing liquid it should adhere okay. I’d have an experiment with some smaller pieces to see if the surface quality for applying glazes suits your style. Will, I love your website. I have taken many of the courses and I go back and do them again when I need to. I have a technical question. I want to create an abstract painting with a lot of movement. I am getting someone to help teach me some techniques. I was told that Modge Podge would work in mixing with acrylic paint. I am skeptical. Hi Kim, nice to hear from you and pleased you’ve been finding the courses helpful in your paintings. I personally don’t use Modge Podge as a medium with acrylics, but tend to use one of the Gels and mediums from Golden paints, you might find this series of interest: How to use Gels and Mediums was there any specific effect you were trying to achieve? Hi Will! I’m a newbie in painting, and vists your page everytime I have a query and try read the every helpful advise you give. Hi Chie, are you using the ‘high flow’ acrylics? if you are these will be fine, in terms on inks it depends if they are water-soluble or not. If they are water-soluble the colour might bleed. I would paint a test swatch of the magenta ink and then apply an isolation coat over the top to check if there is any bleeding or movement of the colour before committing to your large painting. I have a rather unusual dilemma. I have a half finished painting of the crucifixion of Christ done by my late brother. The background was all that was missing and I completed it in acrylics. After the fact I realized that there is a very good possibility my brothers work was done in oils. My question is how do I go about putting an isolation coat and or varnish on this mixed up painting? Thank you Will. Hi Marie, you would only need an isolation coat for an acrylic painting, you don’t need one for an oil painting, so I would varnish without an isolation coat on this occasion. I have a mixed medium sculpture painting, almost all of it is acrylic except for some 3D leaves where I have put goldfinger (oil based) on top of an acrylic base, I have also done a acrylic on PVA crackle on another part. I need to seal the whole thing but am unsure how to proceed given the different mediums. Any suggestions? 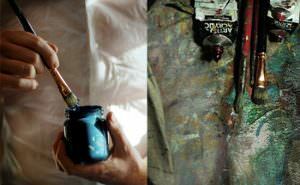 Hi Camilla, you could apply a varnish like Gamvar (which now comes in a variety of sheens) that will work with acrylics and oils to even the sheen over the whole painting. I’d varnish over some small test pieces first with the PVA crackle effect to see if you like the aesthetic of the finished varnish before committing to the whole painting. Hi, thank you, will try it out! I love to use permanent pen with my acrylic on canvas. EVERY TIME I PUT AN ISOLATION COAT ON, some of the pen smears. The work is dried for at least two days before I attempt this. I have been using Faber-Castell PITT artist pens. If these are not the ones to use, what do you recommend? Thank you. If I have acrylic on a collage with papers, do I still use an isolation coat? (I use a lot of pen, again…and afraid of the smearing). Just wondered if it was necessary before I varnish. The gloss will give to the clearest film and most saturated colour but will leave a glossy finish, the matte will give you the least saturated colour but be closest to a paper non-reflective surface. I looked through the W&N varnishes, and they do not say anything about isolation coats. Could you tell me please, if their stuff is “special”, or I just missed something and isolation coat is needed for their varnish too. All varnishes can be applied without an isolation coat. If W&N can be applied without an isolation coat, they also have a varnish remover for removing their varnishes. However, if the varnish layer goes straight on top of the paint layer it will permeate the microscopic holes in the paint layer. Well, I have started with this varnishing thing, because this is my actual issue. Shall I use this Golden soft gel gloss even if I painted the picture with my usual brand’s paints, and I would like to use the usual brand’s varnish? I have never tried to mix any brands. Or shall I just buy a gloss gel of the usual brand, and use it as isolation coat as you described? This mixing brands question would also important with paints. Shall I use different kind of acrylic paints and mix them together? This is something that I find a tiny bit abusing, but I am not a professional, either. I would like to hear you opinion about this. And again, I cannot find words how grateful I am for this website, and how proud I am to be “member” of your virtual art school. Hi Peter, pleased you’ve been enjoying the site, it’s a personal choice regarding intermixing brands as there will be different drying times/ colour saturation throughout different ranges (but pretty subtle). On nearly every painting I create I use a mix of brands depending on the effect I’m after. Thank you so much. Is there a specific brand that you recommend? And will I proceed with the soft gel gloss isolation layer and then the polymer varnish matte varnish? Hi Jessi, Breathing Color Glamour II has a good reputation, as you’re adding texture I’d apply a coat of the breathing colour first to protect the print, then add acrylic medium for texture. Because of having the texture ontop of the underlying giclee varnish layer it would be very tricky to remove and replace in the future so I’d use a varnish without an isolation coat to give a permanent finish. Using a spray MSA varnish won’t react with the pigmented inks so you can use that as a final finish, although it usually comes in gloss. You could also use the polymer matte, but it might be a little more tricky depending on how much texture. If the image is too easily blurred with a direct application of a water-based coating, the most practical solution is to apply the GOLDEN MSA Varnish (Gloss) or Aerosol Archival Varnish (Gloss) as the primary sealing coat. This solvent-based acrylic varnish should not react with water-soluble inks or ink-receptive coats. Really like all your hints and advise. I was wondering if I can mix matte varnish and gloss varnish together to get a softer look, And if so any suggestions as to ratio for mixing. Hi Edwina, a 50:50 mix will create a satin finish. I was having trouble smearing all my ink work on my collages with the isolation coat. So, when I’m finished and ready to seal, I use a spray varnish (outside), and after a day or so, I use a gloss varnish. No smearing….and doubly protected. Hi Crystal, yes, isolation coats work best on acrylics, any water soluble mediums are better with a spray application, glad you’ve found a good solution for your pieces. Thanks, but I think I actually got the idea from YOU. You are a great help to all who love and experiment with art. I have one question. Do you also do assemblage art? I’m so curious as what to use to attach metal to wood. Steampunk assemblage. Ha, ha, great to hear it Crystal, I don’t do assemblage art, you might be interested in ‘thistothat‘ website, you can put in different materials and it will recommend the best glue to stick this to that! Hope it helps. You are a wealth of knowledge. I so appreciate all of your advice. Happy Holidays! Thanks Crystal, have a lovely time with your family. I don’t know who to turn to for this. My husband was going to throw out a perfectly good piece of wood 21″L x 11″W x 3/4″deep. It has a beautiful grain, but it is varnished, or sealed….it’s NOT in its original state. I would love to paint an acrylic on it or collage it but just don’t know where to start. I’ve searched on-line (because I didn’t want to bother you), but you seem to be the only one who I think would know. So, I guess my question is…how do I prepare it for either one of those projects? I thought I would gesso it, but should I sand it first? I’m stumped. Thanks so much. Hi Crystal, if you sand the surface first to remove the varnish this will give a better surface for the gesso to grab on top, then and then apply a couple of coats of acrylic gesso (sanding in-between layers) you can create a good painting surface. Oh, thanks so much. I truly tried to think about this and research on line…but to no avail. I KNEW you would have the answer. I want to put you in my pocket and carry you around with me. THE ANSWER MAN!!!! Great article! I refer to it every time I varnish just so I don’t miss anything. One thing to add: before applying a layer, go over your painting with a tack cloth (avail at hardware store) to remove lint or hair. Especially important if you have pets! Cheers Gordon, pleased you’ve been finding it helpful. I asked my husband to help me, apply Golden’s soft (gloss) which we mixed 2 parts to 1 part h2o. I don’t usually ask for help but my painting was 4 feet by 3 feet and I asked him to apply the isolation coat. Then I evened out any thick spots I saw. There were some brush streaks that look a bit noticeable. Is there anything that would be helpful to counteract that look of brush streaks. Would a varnish help? Hi Beth, you can apply another coat of the soft gel gloss with a softer brush, the varnish wouldn’t necessarily cover the brushmarks unless multiple coats were applied to build up the level of the varnish. You could build up the layers with a brush application first and then apply a few thin coats of spray application for a super smooth finish. Before experimenting on the larger piece I’d try to recreate the brushstrokes on your 4×3 canvas on a smaller board or canvas. Then you can experiment with another coat of soft gel gloss or multiple varnish layers to perfect the technique before committing to the large scale canvas. Hey, I had a question about the isolation coat. Can I pour resin over the isolation coat or maybe after applying the varnish? Thank you for this nice post. It works perfectly. I have only one question, is it possible to paint on top of the isolation coat? After doing the isolation coat I would still add some details. No worries Dora, yes, you can work on top of the isolation coat. Sorry .. I did not see this. Now I know how and how much to mix Soft Gel. Good one Ori, pleased you tracked down the ratio. Hi Will, thanks to many tips from your website my art practice has really taken off. I’ve now been using isolation coats for a few years without problems. But suddenly it has all gone wrong – and on a commissioned piece! Can you help? I did eveything the same, using same brand materials etc but the isolation coat is full of quite heavy brushmarks. I went over it in the opposite direction, which helped slightly but nowhere near enough. I have now put on 5 light spray coats of gloss varnish and it isn’t helping to lessen the impact of the brushmarks at all. Anything you could advise? Hi Sheila, really pleased you’ve been finding the lessons helpful in your painting practice.I’m not sure why the initial brush marks would have appeared considering you’ve been using the same materials unless the isolation coat mix has cured more so more likely to hold peaks. It’s a tricky one because the light gloss sprays are much thinner than the diluted isolation coat so to get the varnish to match the level of the brush marks can take a fair few layers. I’ve known of some artist’s that spray varnish up to 30 layers to form a glass-like finish over the top of the painting, so it is possible, but will just take lots of layers. Would you advise continuing only with spray or might it be useful to use brush-on varnish from now on? PS I think you are probably right about the Soft Gel having cured. It looked and seemed the same as usual but thinking about it…I have had that jar quite a long time. Hi Sheila, you could try recreating the effect of a scrap piece of canvas and then apply with the brush as this will load on more varnish in one layer, and see how it change the finished aesthetic you’re after. Hi Sam, I’ve a feeling that that excess water used for diluting a heavy gloss gel to the same consistency would weaken the film too much, but you could double check with Golden Paint technical support to see, let me know what you find out. The other thing I have a huge problem with is foaming of the polymer varnish. I’m stirring gently with a 2:1 ratio, letting it sit so can’t understand why it’s still bubbling (over top if the isolation coat). Have also tried a 3:1 ratio but does the same. Sorry this is a big long-winded! I sprayed one coat too thick in a patch, so have sanded and recoated several times, which is now ultra smooth but I can still see the sanded patches (peaks of where it was thicker and sanded back) is showing more glossy in certain light. If I spray with a gloss varnish will this get rid of the uneven sheens or will all the different sheens of the isolation coat always show thru the varnish? Usually, if the mixed varnish is left for about 30mins the foaming should be very minimal, also you could try using distilled water to be 100% sure that there isn’t anything that is affecting the varnish mix. I am finding a gloss varnish still streaky over the isolation coat. Can I go back and put matte varnish on top?? Thank you for such a detailed article on isolation coats and varnishing. I had a question on the type of brush to use. You mentioned to use a 2-inch flat nylon brush specifically a soft smooth brush. Would you have any recommendations for specific brush brands? I am limited to only Daler Rowney where I live however I can purchase another brand online through Amazon. Hi Fatima, I like Purdy brushes but a flat colour wash brush like the Daler Rowney Aquafine Skyflow in 1.5 or 2 inches would work well. Just read this article about isolation coats & varnish. Just wondering if you can use isolation coats & varnish on pastel paintings on paper also on watercolour paintings on paper. You mentioned pastel paper, but I’ve never heard of this, but it sounds great! Or do you recommend the W&N all purpose spray you mentioned? I’m in Australia, & have read some of your articles before, so I would love to hear from you. Hi Kim, isolation coat is only really for acrylic paintings, a pastel fixative is better suited for pastels, although it will alter the colours slightly (darken them and dull them) it will help provide more longevity to the surface. Winsor & Newton Professional fixative is a good overall fixative, 2 to 3 light coats will give you a good balance between colour change and smudge protection. Thanks Will. I’ve also read a few blogs on watercolour paper being sealed. Do you recommend this? Hi Kim, watercolour paper can be sealed but this is usually before you begin painting, an isolation coat is intended to go on top of the finished work before the final varnish so wouldn’t be suitable for watercolours as the watercolour is still water soluble so the isolation coat can smear the surface. I just finished one if my best pieces…a gorgeous wildlife piece. My plan was to add 3 isolation coats and 2 varnish as it is a high reflection piece. I’ve never done 3 isolation coats before and I should not have this time…2 was fine..but the 3rd has left some of my grassy areas at the top of the painting looking milky and I can see brush strokes this morning. I am assuming this only fix for this is painting over?!? however, hoping you have a miracle fix for me. Hi Michelle, you should only need one or two applications of the soft gel gloss to give you a good isolation layer. The soft gel usually dries clear so I would leave it 24hrs and see if there is the same milky film is there as thicker applications can take longer to fully dry. The brushstrokes would be from the stiffness/softness of the brush used to apply the isolation coat layer, the soft the bristles the smoother the flow. I am a clay artist, and recently stumbled on this incredible flow painting art! Okay, now I’m hooked. My clay studio has been turned into my flow art space! I’ve been mixing my paints, and making fluid paints by the instructions you have, and the results have been great! I appreciate your help with this. Measuring things isn’t fun, but it produces consistent results, so I’m sticking with it! Here’s my question: I’ve done a few paintings on canvas, and am getting ready to apply an isolation coat prior to varnishing. In your blog article, you recommend using the Golden Soft Gel gloss. I searched for that in my local stores, and ended up purchasing the Golden Self Leveling Clear Gel. Will this work, and if so, do I need to dilute it with water as in your instructions? I paint with Acrylics, on old windows ,I also paint backwards , On the back side Highlights first , They are viewed from the other side, do I need to put a protective coat ? Hi Sandra, you wouldn’t need to as the glass you’re painting onto acts as a protective coat. There are many valuable tips, information and advice on you site, thank you for all. Though, I do have few questions. Does the same principles apply when using wood board as the platform instead of canvas? I am actually a new beginner tranfering photos on wood using gel medium (matte). So far it has been good however, at times the photo rubs off (random spots) when rub the paper fibers with my fingers. I also thought about using chalk pastels (powdered) directly onto the applied gel medium when using stencils on wood board. Do you have any suggestions or advice? Thank you so much in advance and happy holidays! I tend to keep the brush application of an isolation coat to standard acrylics as adding in powdered mediums can be tricky because the brush can disturb the surface, for this, I would lightly spray a few layers of varnish. Unfortunately, I’ve had a problem with an isolation coat on a painting. I’ve done these many times before and never had a problem, but this time I can see brush strokes. Not in all lights, just in some lights. But they are there. I am afraid to varnish the painting now because I don’t want to make it worse than it is. Is there any way to remove an isolation coat? I have searched online, but everything I see makes it sound like it’s permanent. I am very disheartened that I might have ruined this painting, or at least detracted from it. Thanks so much for any advice you might be able to offer. Hi Linda, oh no, the isolation coat is non-removable, but you will be able to build up the varnish layers to remove any brush strokes, it just might take a few layers and a soft brush/spray application. Try to replicate the brushstroke isolation coat on a test piece and then use that to test spray layers of varnish before committing to your final painting. How long should I wait before applying the final varnish after applying the isolation coat? I painted an acrylic painting this weekend and had my friend apply golden soft gel after- the next day Unfortunately the gel left streaks on my painting from the place paint! Do you know why this happened and is it reversible?? Hi Diana, the gel would have left streaks if you used a bristle brush that has stronger hairs. If you use a softer brush there will be fewer brushmarks. I can see there haven’t been any posts on this site for a while, but am hoping on the off chance someone will see my question! I have used an isolation coat as described above on a number of my acrylic pour paintings with no problems, but recently, the last two paintings have smudged when I have applied the isolation coat and the paint has come off on the brush! I am using the same brush and materials, and have left the paintings for weeks so they were definitely dry. So I don’t understand why this has happened. Frustrating it has ruined the paintings :( Any ideas on what is going on?? Hi Emma, mmm, that’s strange, what mediums are you using mixed in with your acrylics for your pour techniques? The medium I last used was Windsor & Newton Artists’ acrylic flow improver. I believe I may have figured out why I am having problems though, I haven’t cleaned the silicone off of my canvas before applying the isolation coat and I think it may be the silicone & isolation coat dragging/smudging the paint!?! Hi Emma, yes, sounds like that might be it, I would give it a test to see if you can replicate the same dragging effect.